If you came to Jackson, NJ to experience the Six Flags Great Adventure, then you are in for a treat. You definitely do not have time to deal with tooth pain, but it can arise and cause you to miss out on the things you want to do. Whether a tourist for the local attractions or a new homeowner in town, you need to know that there are dental options available to you. Fortunately, there are and your dental needs can be handled when the need arises. Emergencydentistsusa.com has prepared a list of dentists in Jackson that handle all oral problems. You will find orthodontists down to pediatric specialists on the list and all you need to do is set aside a minute or two to browse through the list we compiled and choose the dentist that meets your needs. Should you not have the time to look at the list, do call our toll-free dentist finder hotline. Our team members will help you identify the best dentist for your needs and one that is nearby to your location. We can schedule your first appointment for you and even help you navigate to the office through concise directions. You do need to make sure you arrive at the dental office about 15 minutes prior to your appointment time to allow you enough time to fill out any paperwork. You should also bring with you your valid ID, list of current allergies and medications, insurance card, and copayment. There are many dental options available for you to choose from in Jackson, NJ. You can choose from general dentists, periodontists, orthodontists, cosmetic dentists, family dentists, pediatric specialists, and many more. Patients will often start out at a general dentist’s office first. Your general dentist can identify the problem you are experiencing and correct it. Should the general dentist not be able to correct the problem, he or she will refer you out to a specialist who can handle the procedure you need. 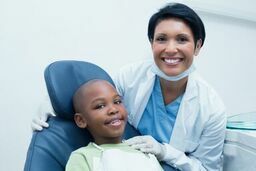 Description: Splendid Smiles Family Dentistry is proud to be able to provide the entire family with the dental care that they need. We treat each one of our patients as our own family and we always use compassion and understanding as we perform procedures and educate you about your dental health. All of our rooms are equipped with the best and latest dental technology to ensure you are comfortable. We offer all types of services to meet your needs from endodontic procedures to dental implants and even restorations. Description: Artistic Dental works hard to offer you and your family the best dental care in all of the Jackson, NJ area. We provide you with an inviting atmosphere that is committed to ensuring you have the best possible experience while here. We utilize the best and latest equipment to include Invisalign and Veloscope. Whether you want to check on the health of your smile or you need some restorative work to get that beautiful smile you desire, Artistic Dental is the place to be. Description: At Encore Dental of Jackson, your smile is our number one priority. Our team is committed to making sure that you receive gentle and personalized care that is focused on what end results you want. We work with each of our patients to ensure that they have all of the information they need at their fingertips to make informed decisions about their oral healthcare needs. From cleanings and preventative dentistry to endodontics and surgical procedures, we offer a full lineup of comprehensive procedures designed to give you a beautiful smile. Tooth pain that lasts for more than an hour or two can mean that there is a serious problem and you should seek out emergency dental care right away. If you have tooth or jaw pain due to any type of accident, you should seek out care at the emergency room first. This is a precautionary step to ensure that you did not break any bones or seriously injure yourself. Once you have been cleared, you can then seek out care for your tooth pain. Before you head into any new dentist’s office, you should check out their credentials, licenses, and certifications to ensure that they have obtained them. You can search the New Jersey Dental Association and input the dentist’s name into their search function. In addition, you can view the dentist’s credentials in the office, as most dentists will post this information in the reception area.